Liverpool fans can breathe a sigh of relief, after it was reported that Virgil van Dijk is “okay” after the defender was taken off through due to injury in the Reds’ clash with Southampton this afternoon. As per journalist Oliver Bond, the Dutch international is ‘okay’, and that all it took was for the player to have a “painkiller for a bruised rib”. He’s had a painkiller for a bruised rib according to @SkySports ? The Mirror were reporting that Van Dijk was substituted for the Reds in their clash with the Saints due to injury, however Liverpool fans can surely relax now after hearing this news from Bond. There were surely some Reds fans out there who were sweating a bit after seeing their key defensive star taken off, however following these words from Bond, it seems like Van Dijk’s going to be just fine. 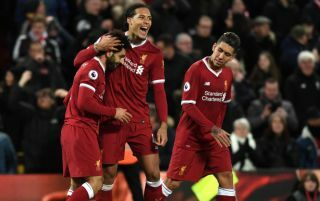 Losing Van Dijk would’ve been a big blow for Jurgen Klopp’s side, as he is, hands down, the club’s best defender, and not having him in the team for any sustained period would surely have been a serious dent to the team’s title ambitions for this season. However, it seems like Van Dijk’s injury isn’t serious after all, and it appears a quick return is probably likely if Bond’s claim proves correct.